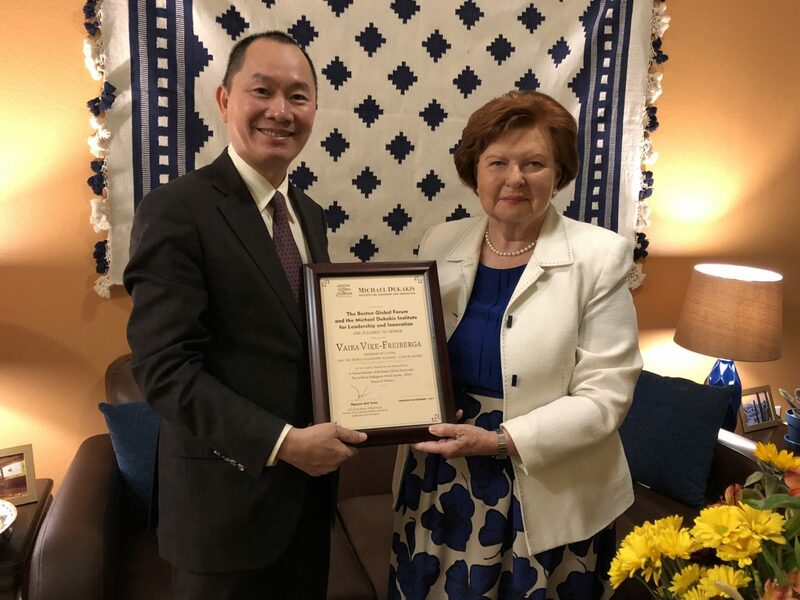 On behalf of the Boston Global Forum, and Michael Dukakis Institute for Leadership and Innovation, Mr. Nguyen Anh Tuan, presented a Certificate of Honor to Vaira Vike Freiberga, former president of Latvia, for her wisdom, leadership, and dedication as a valued member of the Boston Global Forum and the Artificial Intelligence World Society – AIWS’s Board of Thinkers. 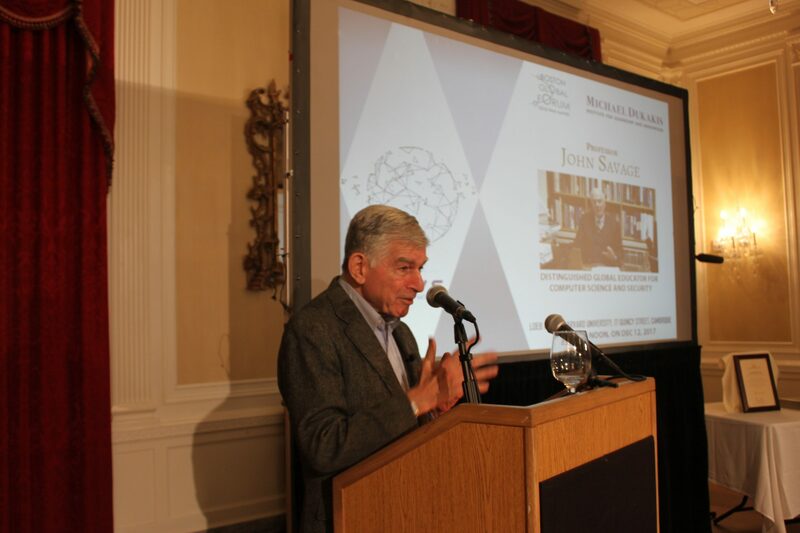 The AIWS is a new Boston Global Forum/Michael Dukakis Institute effort aimed at establishing an ethical framework for the development and deployment of Artificial Intelligence worldwide, and to create new societal models through the application of AI. Mr. Nguyen Anh Tuan, who serves as CEO of Boston Global Forum and Director of the Michael Dukakis Institute, conferred the honor upon President Freiberga, who also serves as President of World Leadership Alliance Club de Madrid, the largest organization of former democratic presidents and prime ministers in the world. 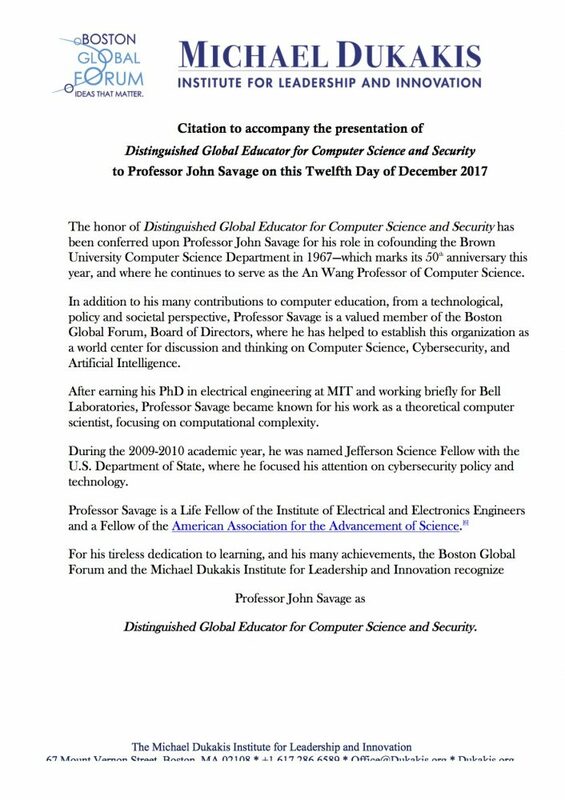 The presentation took place on January 28, 2018.